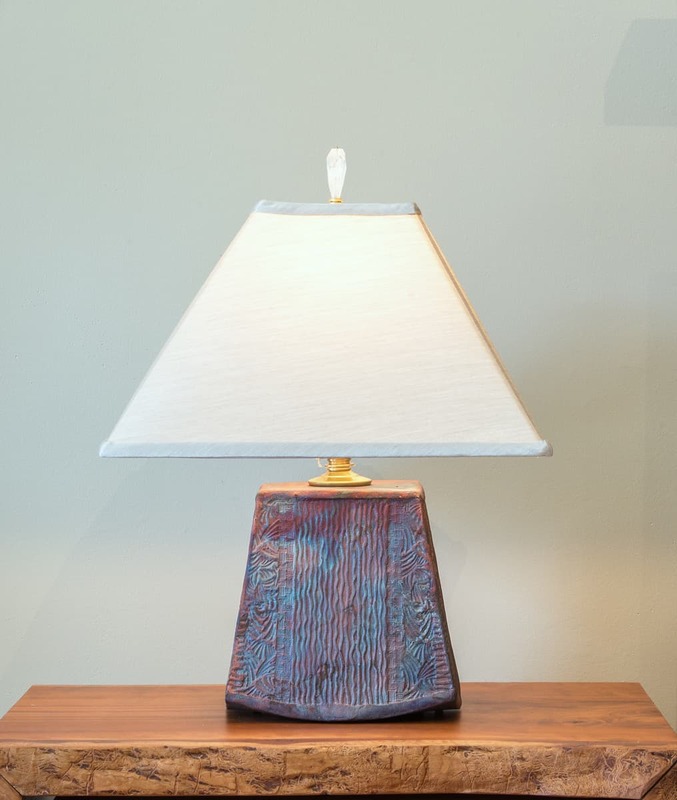 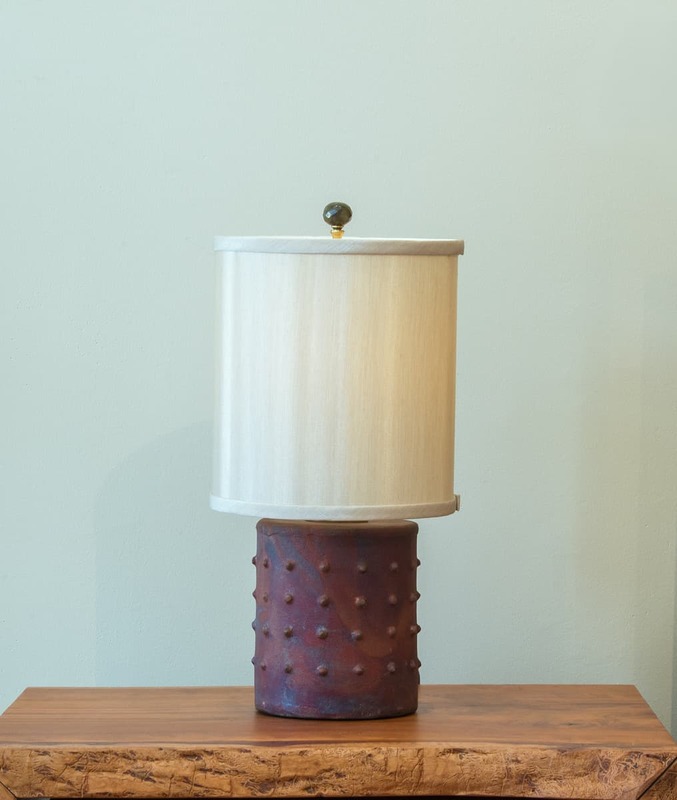 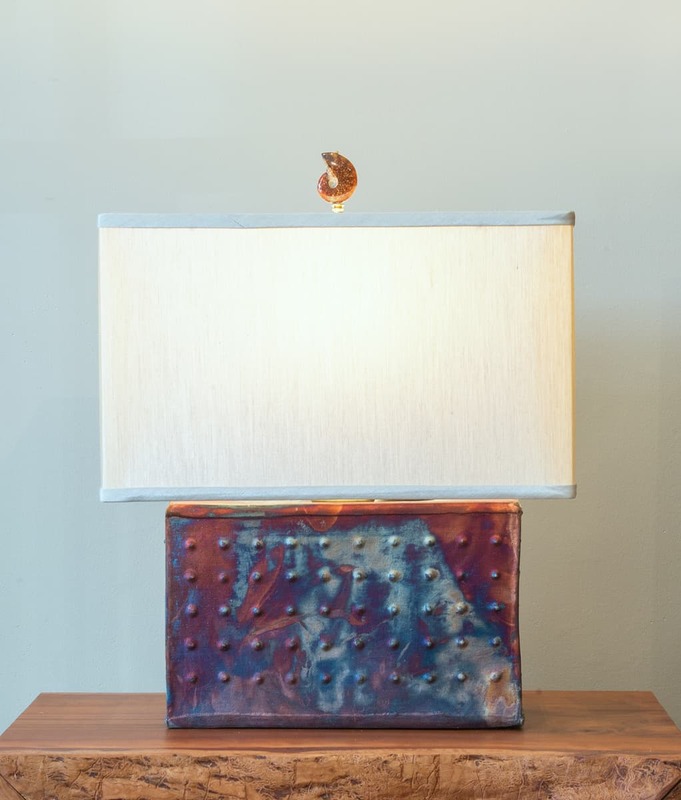 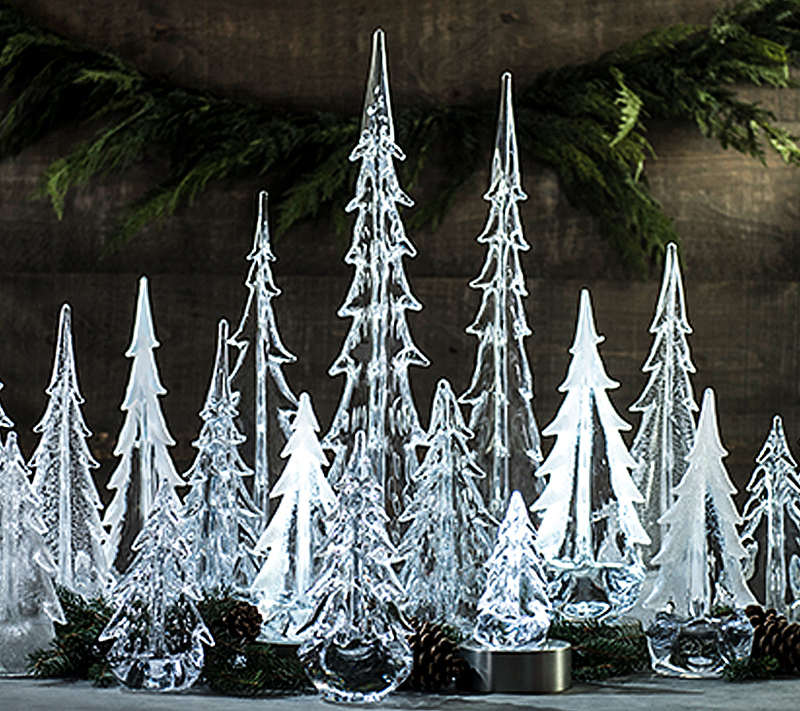 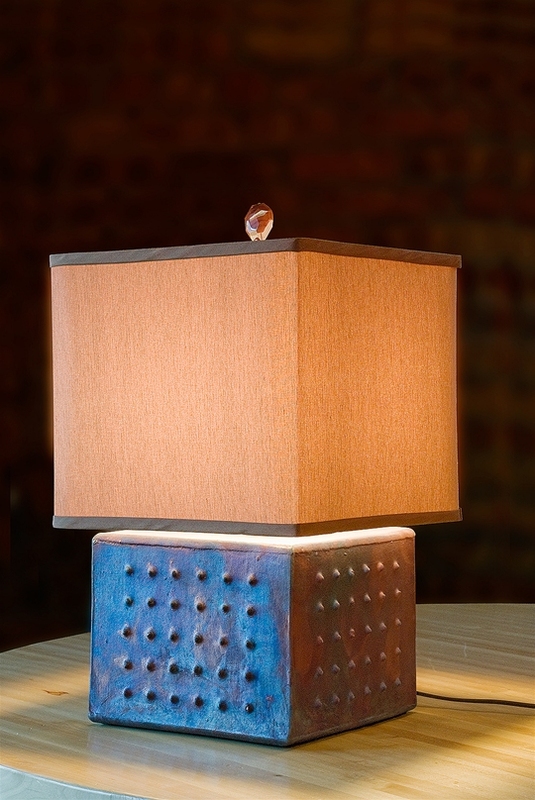 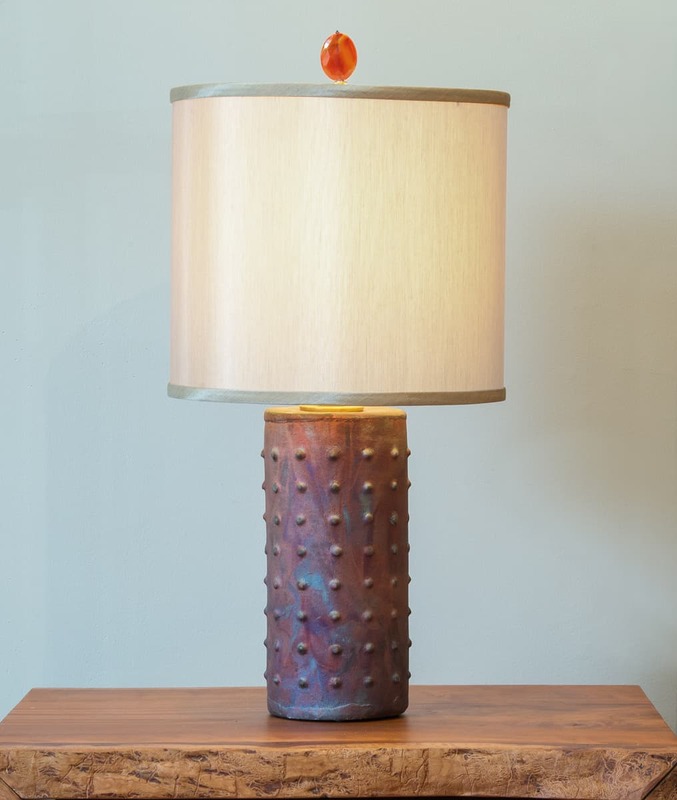 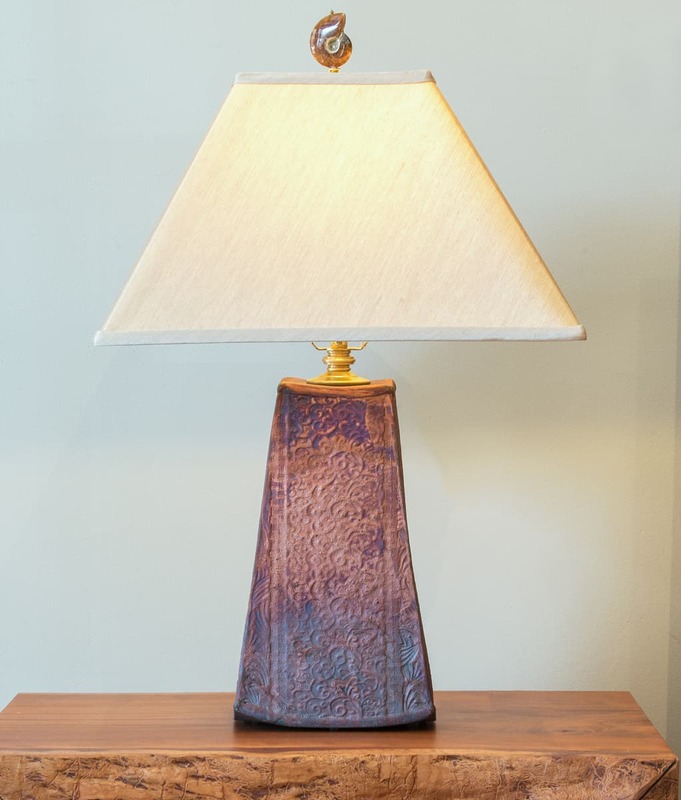 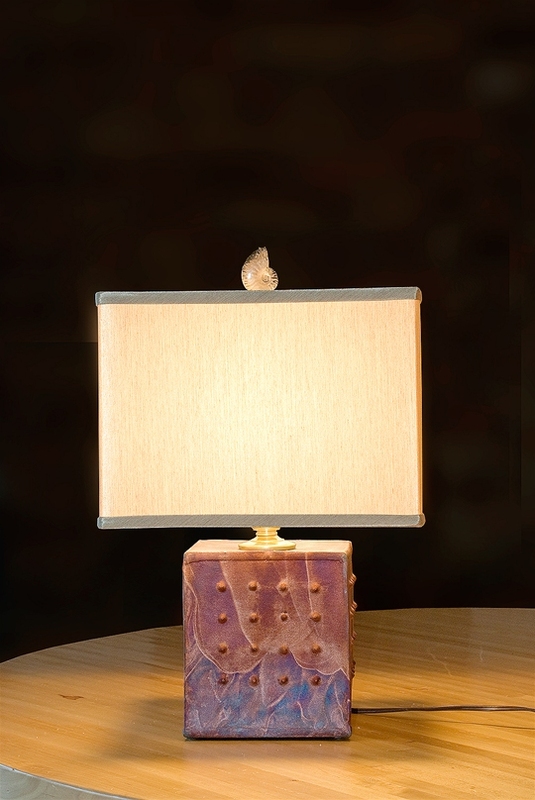 Each of Mary Obodzinski’s lamps and accessories is a one-of-a-kind. 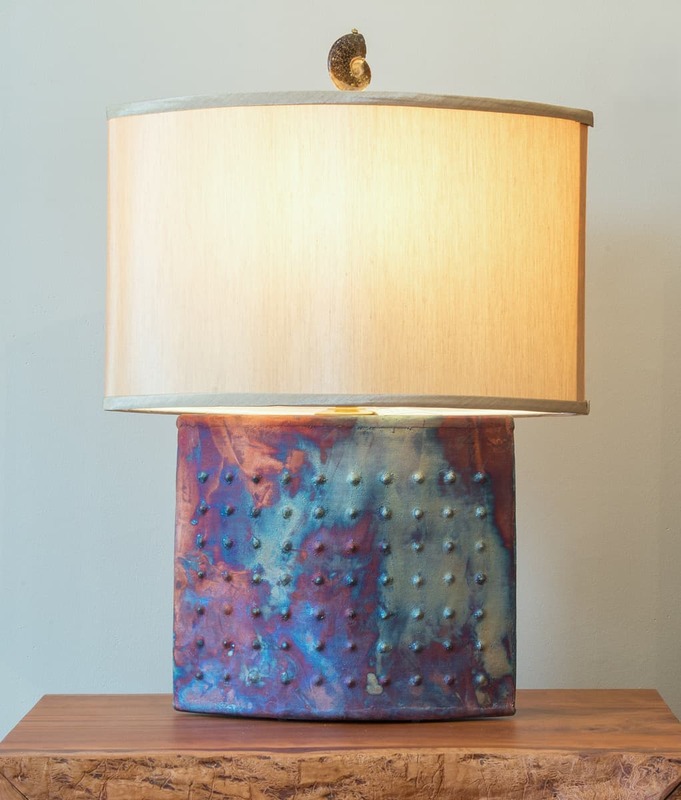 In her Midwest studio, she shapes and builds each piece with slabs of clay. 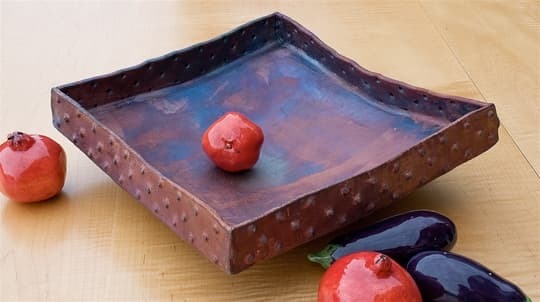 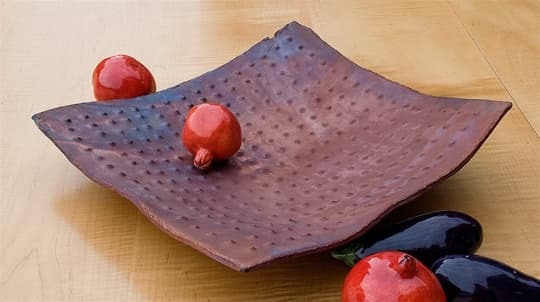 Using the ancient Japanese pottery method of Raku, each item is removed from the kiln while still glowing hot, creating random colors and patterns from oxidation. 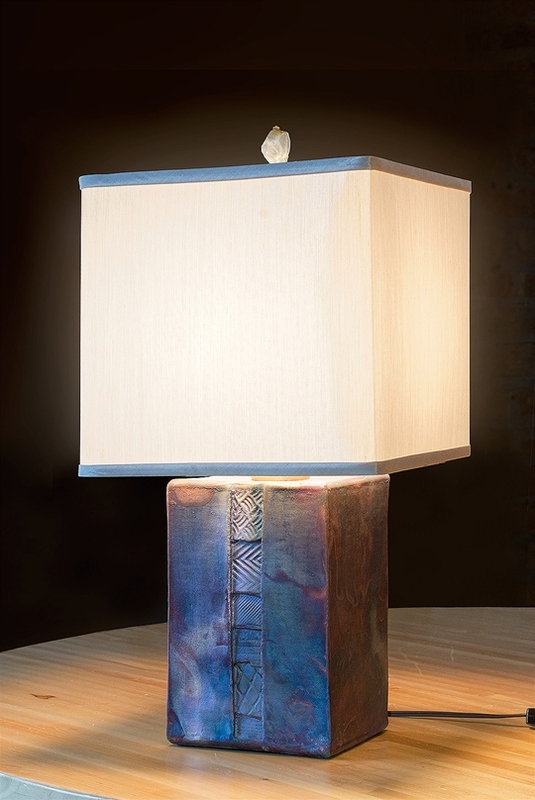 The result is a beautiful and intriguing marriage of the artist’s hand and an unpredictable natural process.